Email. Send an email through this link. One email should be sent for each giveaway you are entering and you must enter each giveaway separately. The email header should be the word as shown at the end of each giveaway (e.g. SCOOTER). You can enter up to a maximum of 5 different giveaways. Make sure you include your name and postal address! Email entry is for registered users only. Facebook. Like and share the relevant competition post and 'like' the Parents in Touch Facebook page to enter. Twitter. Follow @parentsintouch and re-tweet the competition you want to enter. Look out for tweets during the month! Instagram. Follow Parents.in.Touch and tag a friend to enter, look our for competition posts during the month. Please read the giveaway rules carefully before entering. Treat Trunk Subscription Box Treat Trunk tell us: "We at Treat Trunk aim to relieve some of the stress of parenting by providing better-for-you, delicious, nutritious and fun snack solutions for the whole family. In each Trunk you’ll find lunchbox, after school and on the go snacks as well as snacks chosen specifically with parents in mind for their health and well-being properties. We strongly believe in self care for parents and having a box of goodness you can always rely on which comes replenished and full of surprises every month is invaluable." This was really exciting to open and explore! Our young testers were happy to find the pack addressed specifically to them - always a nice touch. Inside, the packets just seemed to keep on coming and they certainly live up to Treat Trunk's stated aim of being healthy and nutritious...Read on. Treat Trunk have one Treat Trunk box to be won. Put TREAT as your email header. Scooterearz Scooterearz are clever hand mitts for children's scooters. During the winter the children still want to ride their scooters when we go out for walks but they do find that wearing gloves just doesn't give them the same grip as they would have without them, but when they take their gloves off they complain that their hands are too cold! Scooterearz will fit almost any scooter; they are easily pulled over each handlebar and held in place with elastic ends, at the other end the mitts are open with velcro fastenings which allow your child to quickly slide their hands in and out of the mitt...Read on. Scooterearz have a set of mitts and a bag to giveaway. Put SCOOTER as your email header. David Fickling This is one of the first titles in an excellent non-fiction series from David Fickling Books. These highly illustrated biographies familiarise children with some amazing individuals. Children are instantly drawn into the account, as they become one of a band of reporters reporting on one of Houdini's exploits. 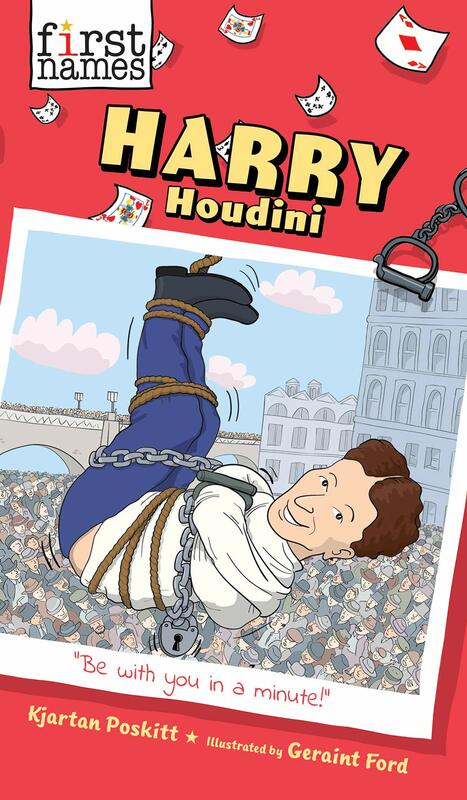 Then the book takes the reader back in time to explore Houdini's fascinating and often hard life. Readers will find a more human side to Houdini through facts such as his real name was Ehrich, and he was very close to his mum. The lively presentation makes the books really interesting to read; the aim of the series is to help children to really get to know the people and it succeeds admirably in that...Read on. David Fickling Books have one set of 4 books to giveaway (Harry Houdini, Amelia Earhart, Emmeline Pankhurst & Elon Musk). Put NAMES as your email header. Toppsta Updated for 2019! The Toppsta Reading Record is 24 pages and now has five pages of book recommendations, giving extra space for recording the books that have been read. 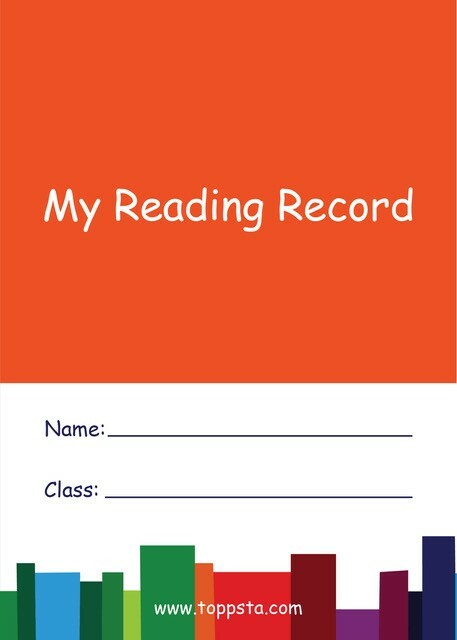 The Reading Record also provides a space for children to practise writing a review, helping them develop not only their writing skills but also an understanding of which books they enjoy reading and why. Two pages are dedicated to writing book reviews as well as ten handy tips for writing a good review. Toppsta is the UK’s leading children’s review platform, the Toppsta Reading Record is a resource for schools, but it will be really good for home use too, and home educators will find it especially useful...Read on. Toppsta have 10 Reading Records to giveaway. Put READING as your email header. Foodini Foodini's mission is to encourage children and families to cook and eat together, using seasonal, healthy and nutritious food. In our busy lives, it's brilliant to see a product that encourages shopping, cooking and eating together. There may seem to be many similar products on the market, so you might ask 'Why Foodini?'. Well, they are fruit and vegetable based, focusing on seasonal ingredients) and offer two recipes every month. The packs include all the dry ingredients and come with a clear tick-box shopping list for each recipe so you and your child can go shopping together, helping children to make the right choices - or maybe you can use some fruit and vegetables already at home thus reducing waste. On the back of the shopping list there is space for notes. Your child will also learn to weigh out the ingredients rather than having them pre-packaged. The recipes are not restricted to GF foods, include an activity pack and the illustrated child-led step-by-step cards are different to all other similar companies on the market...Read on. Foodini have a one month subscription to be won. Put FOODINI as your email header. Bloom Wonderful things happen when you break the rules - what an enticing statement to find on the cover of a book! It introduces a really unusual story with a heroine who is just perfect... until she finds a packet of Surprising Seeds. Sorrel is so perfect, even the teachers at Grittysnit School go to her for advice; she, of course, follows rules to the letter. But that's all set to change in this wonderful head-over-heels story. When she discovers the Surprising Seeds buried under a tree in her garden, strange things start to happen. Her mouth seems to get stuck, she's hearing voices, seeing things, and she's experiencing an almost unstoppable urge to plant the Seeds in some very unusual places...Read on. Harper Collins have 5 books to be won. Put BLOOM as your email header. Mr Dog & the Rabbit Habit Animal stories are perennially popular and this new series has the extra bonus of being inspired by the real-life experiences of a well-known broadcaster and explorer. The book is co-written with best-selling children’s author Steve Cole and the combination works well, with each bringing their own talent to give a good story. The book is illustrated throughout with beautiful black and white illustrations by Nikolas Ilic. Mr Dog will always help an animal in trouble and when a mother rabbit is captured in a trap, he ends up playing bunnysitter... But there is more at stake - someone wants to get rid of all the rabbits and it's up to Mr Dog to help...Read on. Harper Collins Books have 5 SIGNED copies to be won. Put RABBIT as your email header. Plant, Sow, Make & Grow These are mud-tastic activities for blooming gardeners, designed to encourage young children to grow fruit, vegetables and flowers, as well as showing them a range of creative ideas to complement the growing. The book shows that we can all succeed, with the minimum of equipment or previous experience. Get little gardeners growing and learning with this beautifully illustrated book, packed with information and crafty stuff to do. Help them to discover that gardening can be simple and uncomplicated with very little equipment and prior knowledge needed. The book is arranged around the cycle of the seasons - what to grow, how to sow seeds and how to harvest. There are tips about encouraging wildlife as well...Read on. Button Books have 2 books to be won. Put PLANT as your email header. Poundtoy For just £25, this box contains an amazing £100 worth of toys, with individual items valued from 99p to £14.99. Poundtoy promise that each item included in a Surprise Box is completely unique with no duplicates, every item is in perfect condition and brand new in original packaging. We have sold 100’s of these boxes in the last few years so are very confident you will be more than happy with your surprise items. There are so many ways these boxes can be used: perfect for parents, fund raisers, clubs, online sellers, school fates, party gifts... the list is almost endless. A wide variety of toys, stationery, craft items, novelty gifts & accessories are included. In all, we had 20 toys...Read on. Poundtoy have a £25 voucher to giveaway. Put POUND as your email header. Entry into the giveaway is deemed as acceptance of these rules. Giveaways open to UK residents over the age of 18 only. Prize winners will be chosen at random from the list of entries. The decision of Parents in Touch is final and no correspondence will be entered into. Except if you enter by email, winners will be contacted for their postal address. You will have 48 hours to claim the prize once notified. Twitter winners will be notified by DM requesting their address, Twitter ID and prize name to be emailed - if not received within 48 hours of the DM, the prize will be forfeit. Email entry is for registered users only. One entry through each method per giveaway, per household - multiple entries will disqualify from all giveaways. Only entries adhering to the instructions in 'How to enter' (above) will be considered. Parents in Touch reserves the right to: change these rules at any time, change the prizes if the original prize becomes unavailable, or to withdraw the competitions without notice. Please allow 30 days for receipt of prize once notified. Except otherwise indicated, all giveaways close on the 30th April 2019.